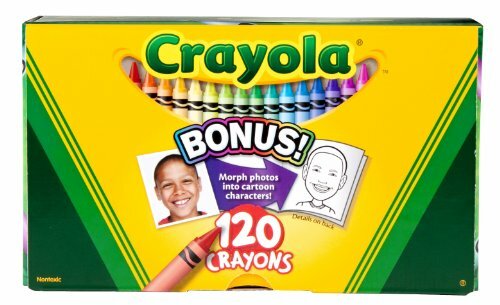 Upon opening up one of those giant boxes of Crayolas, you’ll find 120 crayons inside. While some of the colors are similar, none are the same — if they were, what would be the purpose of including both in the pack? Marketing intelligence firm Crayon encourages companies to think in these same terms, with a mission to “help businesses track, analyze, and act on everything happening outside their four walls.” In order to ensure your organization remains unique and indispensable, you need to keep a close eye on all the other players in your field and maintain clear points of differentiation. 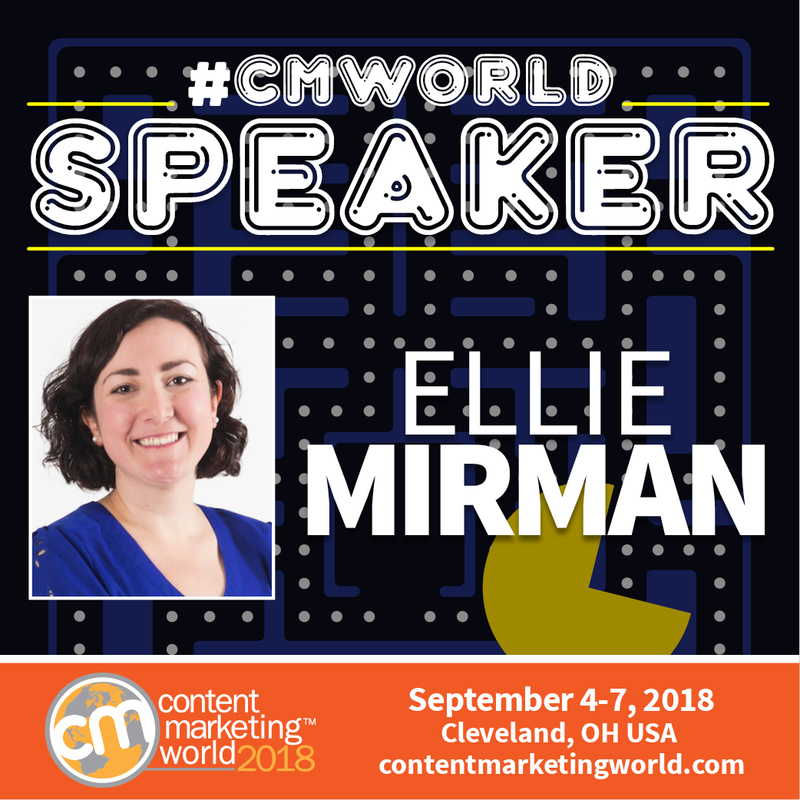 In her session at Content Marketing World in September, Crayon’s CMO Ellie Mirman will cover the fundamentals of competitive analysis and how it should shape our content strategies. This intel, she posits, will not only help eliminate redundancies and overlap with others, but will also illuminate opportunities to break new ground and offer distinct value. We wanted to learn more about Ellie’s views on efficient operations, agile marketing, and finding the ‘white space’ just waiting to be colored in. She was kind enough to answer our pressing questions. What does your role as Chief Marketing Manager at Crayon entail? What are your main areas of focus and key priorities? As CMO, I lead the marketing function at Crayon, spanning everything from content to demand gen to product marketing to branding and everything in between. A lot of what we do involves educating the market about how to tackle competitive and market intelligence. What are the biggest mistakes you tend to see in marketing program launches? How can they be avoided? Each program rollout should include a planning phase where the goals, action items, and milestones, are set out at the start. Then, at the end of the campaign (or at least a pre-defined checkpoint), there should be a recap phase where the team reports on the results and does a retrospective on what worked and what didn’t. This helps marketing teams be a lot more intentional about their efforts and make the best use of their most important resource: time. In which ways can marketers better align their efforts with bottom-line metrics and measurement? What are the easiest and quickest wins? I’m a big proponent of transparency across the business around the company’s key priorities and metrics. Marketers – and every other employee – should be in tune with these priorities and metrics so that they can align their efforts with what matters to the business. Too often, I see teams get stuck in the weeds of engagement rates or volume of marketing activities, but it’s helpful to step back and hear what’s going on at the high level or in other departments. It’s ok to care about engagement rates – but you should be able to connect the dots from any marketing metric to whatever metric matters most to the business. For example, you may find that time on page correlates with higher landing page conversion rates, which means more leads out of your website traffic, which turns into more customers and revenue. Revenue tends to be the most critical bottom-line metric to focus on – but the company’s current priorities may shift to retention or awareness or something else. Going into the goal-setting phase of any marketing initiative, there should be clarity around every initiative’s connection to that bottom-line goal. And every marketer – from the CMO to the brand new junior marketer – should be able to explain how their efforts are connected to the company’s #1 metric. Today’s marketers are often spreading themselves too thin. How would you advise an overstretched marketing manager to simplify and narrow their focus? Write down everything you do. The first step in simplifying and focusing your workload is to understand what’s on your plate already. A lot of little projects can sneak onto your plate over the course of a week, month, or quarter. An incredibly helpful exercise is to write down everything you’re committing to and every other request that pops up. Start by doing this for a week or month, and you may be surprised to see how much time is taken with one-off requests or impromptu projects. From there, it becomes a lot clearer what needs to be cleared off the plate and how to say no to the projects that don’t drive progress towards the marketing team’s priorities. You are a big proponent of agile marketing and development. What do you view as the core strengths of this approach? There are a lot of benefits to applying agile development to marketing, but my favorites are that it helps with focus and accountability. Marketing often gets requests from all over the company and being conscious of the projects you’ve committed to for that sprint allows you to say no to lower priority asks or have the conversation about trade-offs like dropping one project for a new one. This, in turn, allows marketers to focus and make progress on chosen initiatives. I also appreciate the rhythm of setting goals, executing, and reviewing progress and lessons learned. You’ll be speaking at CMWorld about ways we can look to our competitors in order to improve our content strategies. Why is this such a critical opportunity? Content marketing isn’t what it was a decade ago – every company has a blog and producing content is longer a differentiator. Simply adding to the noise doesn’t help you achieve your content marketing goals, you need to be strategic about how and what you put out into the world. Evaluating your competitive content landscape allows you to understand the context for your content marketing so that you can use your time wisely and create content that will stand out and succeed in a crowded content market. What is ‘white space’ and how can we go about identifying it in our content? ‘White space’ represents the areas that haven’t been covered by others’ marketing efforts. It’s the green field, the blue ocean, choose your favorite color + place! The concept is the same – find what your competitors are and are not doing so that you can take a differentiated approach. In content marketing, that’s a matter of analyzing what topics, channels, media, and so on that others are publishing and evaluating where there are gaps in the content landscape. This can allow your content to go a lot farther with less effort. There are a lot of favorite speakers making the CMW list – like Ann Handley, Jay Acunzo, Paul Roetzer, and Chris Penn – people I always love seeing present, no matter the topic. I’m also excited to dig into some of the SEO and storytelling sessions since those are key priorities in our own content strategy. And of course Tina Fey – psyched to see her speak! Thanks for sharing these colorful insights, Ellie! We can’t wait to see you on stage at CMWorld. Registration for Content Marketing World 2018 is open! Use code CMWBLOG at checkout to save $100!